Online courses are a fabulous option for taking your life to a whole new level from the safe space of your own home. Virtual learning is a gentle and affordable alternative to one-on-one coaching that still offers the guidance of a seasoned coach and slow and steady steps towards change. I make it very easy for you – all you need to sign up for any of these online courses is an email address to get started! I believe that if you really get to know all the sides of someone, you can’t help but fall in love with them. The “Become Besotted” online course helps you do just that. You will learn to see a person as they really are when no one’s watching. Acknowledge their struggles and bouts of loneliness. See their victories and find a way to celebrate them. See their infinitesimal moments of perfection as they watch their lover sleep or breathe in the crisp autumn air on an October morning. That person, my darling, is you. Learn more about the Online Course Become Besotted. 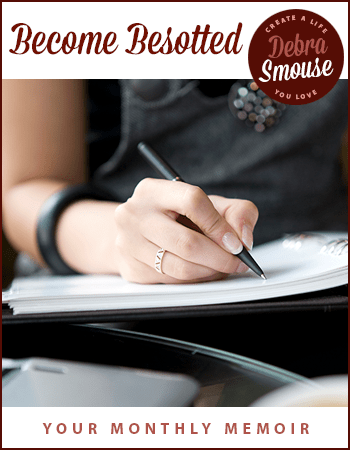 The investment for the 12-month “Become Besotted” online course is only $89. Isn’t it time you fell in love with you? What if I told you that one of the things standing between the life you desire and the life you have is clutter? It begins with the physical clutter in your world – the overstuffed closet, mountains of laundry, stacks of papers on your desk, and all those unloved things you’re saving just in case. But clutter doesn’t stop with the stuff on your floor. An over-scheduled life is a form of clutter, and so are all those whirling thoughts in your head. They are brain and soul clutter that keep you mentally and emotionally stuck. The “30 Days to Clarity” series contains 2 books and 3 online courses to help you clear physical, mental, and soul clutter and discover clarity in your life. One of the major things standing between a successful business and an unsuccessful one is the lack of systems. And, the clutter in your home office is detracting from your ability to focus on your work. Learning how to minimize distractions and create systems that support you and meet your needs will enhance the feeling of freedom those of us who work from home crave. Want more details? 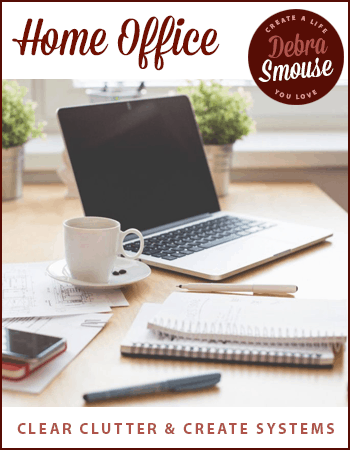 Learn more about The Home Office Edition online course here. Your environment has more to do with your ability to make the life you want than you think. I have learned this truth: you cannot welcome new things into your life if you don’t release some of the old. Dealing with your physical clutter (big clutter and small clutter) will help you find your dreams, even when those hopes and dreams are buried under mountains of stuff. Want more details? 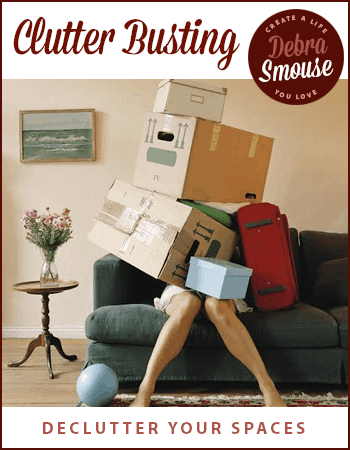 Learn more about The Clutter-Busting Edition online course here. This online course will take you on a journey through the season to feel more connected with your heart and soul and more joyful. Close out the year in deeper relationship with yourself while also creating a loose plan for the coming year. The 2018 Advent Series comes with two bonuses. Want more details? Learn more about The Advent Series here. 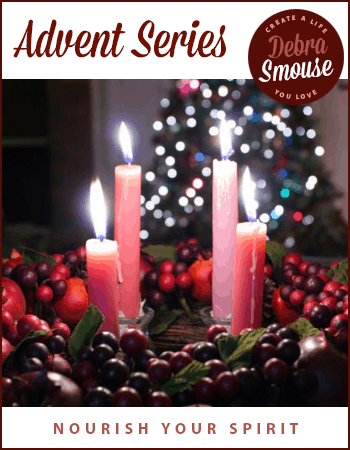 The Advent Series in 2018 will begin on Sunday, December 2nd.